a. An average morning worship attendance of fewer than 50 for two consecutive years or more. b. Fewer than ten resident member families. c. Lack of financial stability and/or self-reliance. d. Lack of clear and common purpose. e. Severe and unresolved internal conflict which damages the church’s reputation in the community and hurts the cause of Christ. a. Renewal Plan. A renewal plan would help the existing congregation revitalize its ministry. Components might include an objective assessment of its spiritual health, the development of a renewed purpose, an addressing of any internal problems or obstacles, etc. b. Restart Plan. A restart plan would close the existing congregation and use its resources to start a new church in the same community with a new ministry focus, a new location, a new name, and/or a new pastor. c. Maintenance Plan. A maintenance plan would allow the congregation to decide to continue its present course, but without any further outside intervention and/or assistance. The church would lose its voice in the national conference after five years of no progress toward an agreed plan. d. Closure Plan. A closure plan would close the church in accordance with the procedures below. a. The Local Board. The local board will notify the US bishop of its desire, and the local board and cluster leader begin discussing the idea. b. The Bishop. The bishop may direct the cluster leader or another person to meet with a local board about the possibility of closing that church. c. Cluster Leader. The cluster leader or designee may direct the local board to call a meeting consisting of all members of the church to discuss the possibility of closing the church. a. The church is weak in such areas as membership, attendance, finances, and purpose. b. There is a desire to merge with another congregation. c. The congregation is unable to carry out a meaningful ministry. d. The congregation consists of less than ten resident families. a. The local church will determine the 501.c(3) organization that will receive the property. b. A letter will be sent to each member, outlining possible options regarding church attendance and membership in nearby churches, information on what will happen to the church property, and any other relevant information. c. Members shall transfer their membership to the local church of their choice. 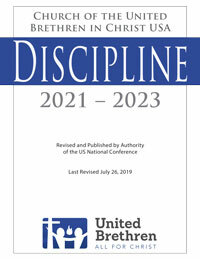 If that is not done within six months, the US bishop may close the roll by removing the names from United Brethren membership. d. It is recommended that money from the sale of closed churches be given to the US National Conference to start new churches.